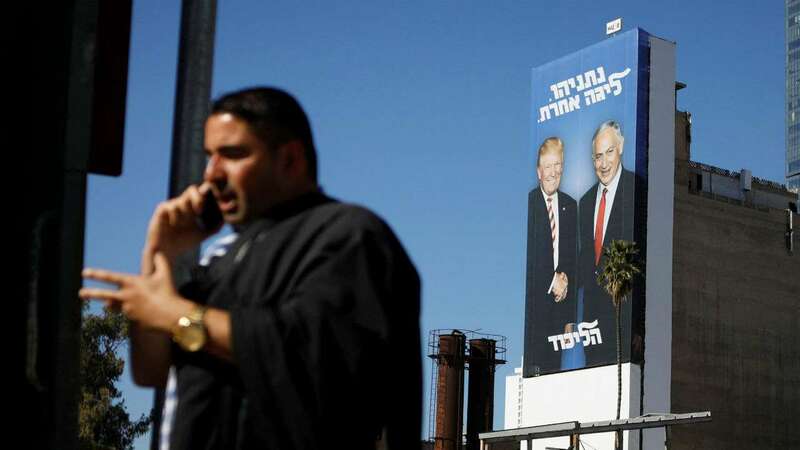 Feb 3 (AZINS) A giant billboard of a smiling Donald Trump shaking hands with Prime Minister Benjamin Netanyahu loomed over a main entrance to Tel Aviv on Sunday, part of the Israeli leader's re-election campaign. "Netanyahu. In another league," read the Hebrew-language billboard, in a swipe at the calibre of the veteran prime minister's opponents in the April 9 national election.